Jackson cares a lot about his former babysitter, Alma. This is why he worries so much about her abusive husband, who uses Alma and their baby daughter, Nicole, as physical and emotional punching bags. Though the adults in his life tell him to stay out of it, Jackson can’t help but feel that it is somehow his responsibility to step in and save Alma before her husband does irreparable damage. This book contains sophisticated subject matter, but it is handled remarkably well, and always in age appropriate terms. Byars strikes the right balance between the seriousness of Alma’s dangerous situation and the humor that boys in the target age range most appreciate. Byars portrays Alma as young, immature, and lost, so that the reader easily sympathizes with her, and she keeps the abusive husband mostly on the sidelines, keeping the threat of violence pretty far removed from her main character. She introduces humor by involving Jackson’s best friend, Goat, and sending the boys and Alma on an ill-fated road trip where the two boys take turns driving. Byars also strikes just the right balance between the story’s overall message and Jackson’s personal beliefs. Though Jackson always believes he should play the role of hero, the worldview of the story does not reflect this mistaken impression. Rather, Byars makes it possible for the reader to empathize completely with Jackson’s desire to help Alma, but she also makes sure they realize that saving Alma ultimately requires adult intervention. 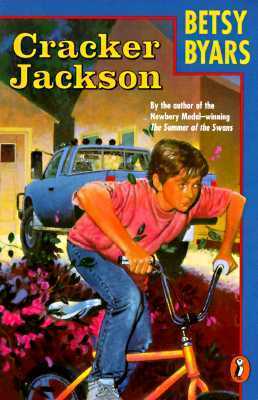 Jackson is a sincere and believable character to whom most pre-adolescent boys are likely to relate. Cracker Jackson is every bit as well-written as any of the books in the Blossoms series, and readers who enjoyed the high-stakes scenarios in those books will be pleased to find another complicated and realistic story in this book. If this book were published today, it is likely that it would be a dark YA novel with nothing held back. I’m pleased that this book manages to tackle a serious subject without succumbing to darkness, and I wish there were more middle grade novels like it! The Galloping Goat and Other Stories is yet another collection of short fiction written by Phyllis Reynolds Naylor in the 1960s. It was published between Grasshoppers in the Soup and Knee-Deep in Ice Cream, but it could not be more different in tone or subject matter from either of those books. While both of those are collections of humorous vignettes about teen life, The Galloping Goat is a series of heartwarming, principled short stories about young children living in different places all around the world. "The Galloping Goat" is set in Greece, and tells the story of Nicos, who attempts to deliver a mischievous goat to his lonely grandmother. In "Hala and the Gander," a young polish girl’s efforts to earn money are thwarted by a gander that won’t let her work in peace. "What the Stars Said for Asoka" reveals the bravery of a young boy in Ceylon (now Sri Lanka) who fears camping but manages to fend off a bear in an unexpected way. "Maria of the Mountains" explores a Colombian girl’s desire to see the world and become educated and demonstrates how this wish brings her to an important decision that will improve her community. In "Kimo and the Keys," a Hawaiian boy must choose between helping himself to a prize and helping a man who has dropped his keys into the ocean. In "The Silver Trinket", set in India, Sita loses her sister’s wedding jewelry and must work hard to replace it. In "The Church the Children Built," a group of Mexican children band together to build a church in order to keep their beloved priest with them even during the rainy season. "The Dragonfly" tells of a Japanese boy who sacrifices his own chances of winning an insect contest in order to comfort his sister whose beautiful insect flies away. In "The Donkey and the Kettle," two young gypsy boys in Spain make a trade that unexpectedly angers their families. Each story bears a positive message and a character-building theme, while also providing the reader with insight into a foreign culture. I loved this book in the same way that I loved Bo at Ballard Creek. So often books about other times and cultures focus on the hardships of those societies and on the major dramas and difficulties that shape their worldviews and customs. This book takes a different approach, giving us simple insights into the day-to-day lives of average kids who happen to live in places very different from the United States. Each character is easy to relate to, because he or she faces a basic conflict that is instantly recognizable, even if the reader has never set foot on foreign soil. Each character, though different from the average American child in dress, or looks, or language, is fully realized and so sympathetic that the reader can’t help but step into their shoes and look at things from their perspective. The characters are also wonderful role models. Each one looks for ways to make his or her world a better place and makes appropriate sacrifices for the good of family, friends, and sometimes even strangers. 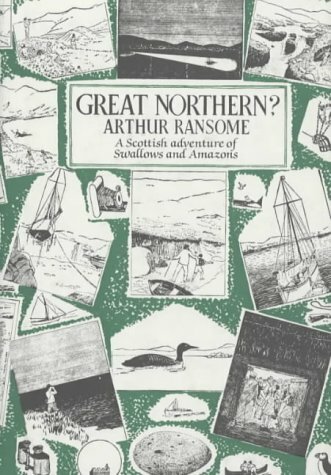 Despite the age of this book - and the fact that some of the stories date back as far as 1959 - there is very little offensive, stereotypical, or inaccurate content in it. I’m actually disappointed that it isn’t still in print, and that I didn’t know of its existence back during the One World, Many Stories summer reading program, as I think the stories would make perfect read-alouds for elementary classes and perfect preliminary explorations of other cultures for young readers. I wouldn’t even really consider the writing style to be outdated. With different artwork, this book could easily pass for a much newer title, and I think it would have no problem at all finding an interested audience. 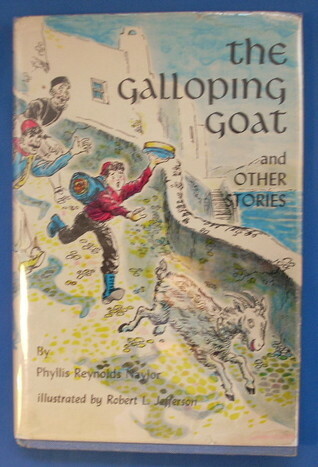 The Galloping Goat and Other Stories was Phyllis Reynolds Naylor’s first book for children, and I think it perfectly predicts her later success as a Newbery Medal winner and prolific author of books for young readers at all levels. These stories are well-plotted, with strongly well-developed characters and messages that teach without preaching. Some interested me more than others, but I can see how each one would be satisfying for the right child at the right time. After reading this book, I’m anxious to read more of Naylor’s older work, as well as some of her newer things - I suspect I have been underestimating her talents, and I’d like to become more familiar with her middle grade work. Georgie is pretty sure she can fly. She thinks she’s done it before, and she keeps making attempts to do it again. Her mother and uncle are concerned for her safety, as are her cousins, but this doesn’t stop Georgie from developing a relationship with The Goose Prince, a mysterious bird who comes to Georgie’s bedroom window at night to take her flying. Unfortunately, two of the neighbors - Miss Prawn and Mr. Preek - have also noticed the bird, and they are not pleased to have it around. Miss Prawn is convinced the bird’s presence means Georgie is a fairy child whose fate will be determined at the full moon. Mr. Preek simply sees the bird as a menace and seeks to destroy it the moment hunting season begins. 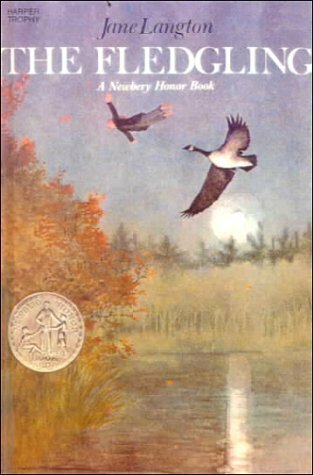 I picked up The Fledgling because of the Newbery Honor sticker on the front cover, and I read the entire thing before I found out that it is the fourth book in a series, the Hall family chronicles. To the author’s credit, this book really stands on its own, and there is nothing missing from any part of the story that would indicate other installments have gone before. In fact, the characters seem so new in this book that I am actually having trouble imagining that there were previous episodes prior to this one, and I really wonder how interconnected the other titles are. In any case, this story works quite well on its own, and despite the fact that it is a fantasy story, I didn’t have any trouble losing myself in its unusual, ethereal tone. This story works on at least two levels, and I suspect I have not picked up on everything I am meant to take away from it. Georgie and her family live in Concord, Massachusetts, not far from Walden Pond, and her mother and uncle run a transcendentalist school. References to Ralph Waldo Emerson and Henry David Thoreau run through the story, and busts of both men are on proud display in the family’s home. I doubt kids would have any more knowledge of transcendentalists than I do, and I don’t think lacking this knowledge ruins the book. Rather, I think the inclusion of transcendentalist ideals in the story’s subtext makes it the kind of book kids will be able to return to as teens and adults, as they do become familiar with these concepts. This is a more complicated book than meets the eye, and readers who recognize that fact may be richly rewarded. I also think the story lends itself to many possible metaphorical interpretations regarding the end of childhood and the entry into adulthood. This is not an allegory where each character and plot point represent something specific in the real world, but I do feel as though the Goose Prince serves as a catalyst for Georgie to begin developing a more adult and less fanciful way of viewing the world. I think a closer reading of the entire book would probably bring out a significant number of details to support such an argument. In fact, every detail in this story seems important, and I think the author is great at selecting just the right description or action to define a given character. This is especially true of the villains. I thought it was perfect that Miss Prawn, for example, who is chiefly concerned with appearances, plants plastic flowers in her garden so that she doesn’t have to tend to them, and then later pulls them up when they are out of season so as not to appear out of step. Nothing else in the book gives the reader a better sense of Miss Prawn’s true colors. A few things about the story puzzled me. I didn’t like that the Goose Prince spoke to Georgie, because I couldn’t imagine what he sounded like, and his dialogue pulled me out of the otherwise dreamlike sense of the story. There is much more narration than dialogue in this book to begin with, and to have a talking animal speaking any of the few lines of speech just felt out of place. I also didn’t really care for the ending, which seems completely incongruous with the rest of the story. The quality of the writing almost seems to save it, but I had the sense that I had missed something, or that perhaps I was misreading the author’s intentions. It might be that this book is better appreciated after multiple readings, and maybe there is a metaphorical significance I have yet to uncover, but I was not fully satisfied, and I don’t know that kids would be either. The Fledgling is a sophisticated book, and I would recommend it to readers who are already very familiar with fairy tales and fantasy, and who don’t necessarily mind a challenging, unsettling story. Interestingly, it compares well with A Ring of Endless Light by Madeleine L’Engle, which was the other Newbery Honor book in 1981. Both books deal with uncanny communication between animals and humans, and both strike a specific chord in the imagination that is hard to explain but very easily recognized. A contemporary children’s novel that also came to mind as I was reading is The Hop by Sharelle Byars Moranville. The Hop is a bit more mainstream, and much more straightforward, but it shares the same theme of interconnectedness between humans and the natural world. They seem to be somewhat hard to find, so it might be a while before I have a chance to read them, but the rest of the Hall Family Chronicles books are: The Diamond in the Window (1962), The Swing in the Summerhouse (1967), The Astonishing Stereoscope (1971), The Fragile Flag (1984), The Time Bike (2000), The Mysterious Circus (2005), and The Dragon Tree (2008).